I’m not about to tell you anything new – few things are truly original these days after all! Nevertheless it’s always good to recap over subjects that have significance to our businesses and ultimately our lives. Colour is a powerful tool in business identity and features prominently in all the corporate identity manuals I’ve experienced. Either in putting such manuals together, or referencing them to make sure we produce branded items accurately. I’ve seen the trouble that businesses, both large and small, go to in order to make sure their corporate colours are just right, and closely adhered to. No wonder really since colour is a key ingredient to brand success. In fact, colour influences our perception of a company and what it stands for, and creates mood and atmosphere. Red is the colour of fire and blood, associated with energy, war, danger, strength, power, determination, passion, desire, and love. It is a very emotionally strong colour and increases respiration rate and raises blood pressure. Highly visible, it’s used regularly in national flags. Orange combines the happiness of yellow and the energy of red. People think of joy, sunshine, and the tropics. Orange represents enthusiasm, fascination, happiness, creativity, determination, attraction, success, encouragement, and stimulation. In heraldry, orange is symbolic of strength and endurance. Orange has very high visibility, so you can use it to catch attention and highlight the most important elements of your design. Blue is the colour of the sky and sea. It is often associated with depth and stability. It symbolises trust, loyalty, wisdom, confidence, intelligence, faith, truth, and heaven. Blue is thought to be beneficial to the mind and body. It slows human metabolism and produces a calming effect. Blue is strongly associated with tranquility. In heraldry, blue is used to symbolise piety and sincerity. We could analyse every colour, (and there is plenty of information readily available for those who want to explore this further), but for the purposes of this blog we can see that colour impacts on our senses, welfare, and literally “colours” our perspective, and certainly reinforces the importance of colour in branding. Why is it then, that so many clients we have had the pleasure of working with, have never had the various colour systems explained to them? Why haven’t we (and I reference ourselves, graphic designers, printers, signwriters…) offered some help to our valued clients to better understand the colour references we often refer to when handling their branded material? After all, a more informed client is a happier client since all jobs can run more smoothly for them. Now I’m no colour system geek but I hope I can outline enough helpful information that will kickstart a learning journey! So let’s explore the colour systems, and refresh our understanding so it helps us manage colour in all we do for our businesses. If you have a brand, a logo, an identity then it’s so important to know something of the systems used in managing colour for all the varied processes we employ. Whether that be for printed literature, branded items, signage, clothing and so forth. Get it right and you build a strong brand identity- a consistent identity, across all marketing channels and media. Virgin, Coca Cola, Apple, IBM, McDonalds are but a few examples of brand supremacy. Get it wrong and it will inevitably weaken your brand, and probably cost you time and money along the way! This first blog covers the most familiar of the colour systems – the Pantone Matching System. The others will be covered in subsequent blog posts. Known as pantone colours to you and me! Probably the most recognised system, and sometimes referred to as “spot colour” printing. It is a system created by Pantone the company, and universally used by graphic designers and printers to accurately select colours and reproduce them. It standardises colours regardless of the equipment/process used to create the printed colour, and creates a “colour language” that different manufacturers in different locations can speak to safeguard colour continuity. Each colour is a “solid” colour, and given a specific pantone number – a unique code that identifies that colour and no other. Think of it as a specific pot of paint! There are over 1,000 standardised colours within this system. The pantone (PMS) reference for JUSTSO’s corporate orange is pantone 021 and can be further defined with a C or U afterwards representing the colour achieved on different paper substrates – C being for Coated and U for Uncoated. Often this is the standard colour system from which you convert to RGB or CMYK colour systems (explained in subsequent blogs). Most graphic designers and printers , and indeed our team at JUSTSO, have pantone reference books that feature each colour. Ask your preferred supplier to show you them if you’re interested. These “pantone books” give us a sample of each colour that we can then reference to match to colours printed on any media to make sure we’ve printed to the right settings to reproduce your logo colour.They are also used to assist clients in choosing colours they may want to use when creating their logos/brands in the first instance. It’s exactly the same as the paint colour cards you pick up in B & Q or Homebase when choosing your paint colours! 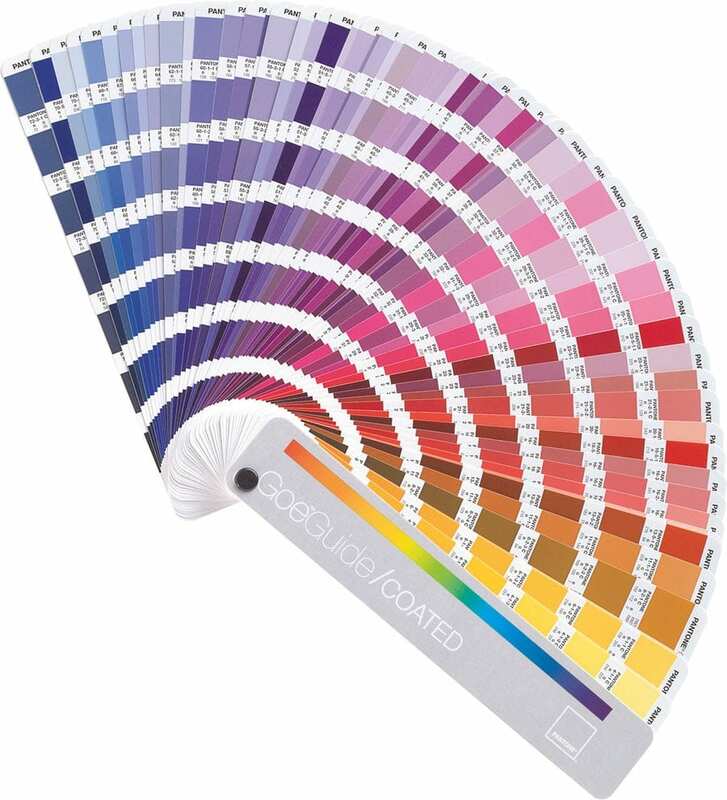 When you print using pantone colours, you are printing by spot colours, so each colour is a one colour only output. It cannot create shades of that colour. For that you need to print using a four colour method whereby you can use the four basic colours of cyan, magenta, yellow and black to create innumerable output. with small text printing the pantone/spot colours create better legibility as there are no blurry edges from the “dot structure” of the 4 colour process method. Well that’s all folks! As you can imagine there is a plethora of information on this subject, and as with nearly everything in today’s society there are phone apps and internet support for this topic.The iphone app available on the app store is “Pantone studio”, and online www.pantone.com is a great starting point and features a “Find a pantone colour” too.